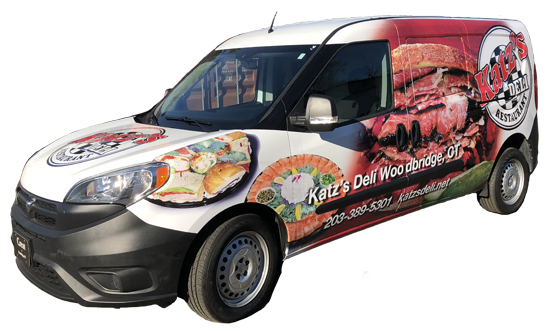 Vehicle wraps are stunning full-color graphics that can cover all or part of your vehicle - even windows! We install all vehicle wraps with premium printed vinyl with a UV lamination. This will help protect your vehicle and wrap while also extending the life span of the wrap. Premium printed vinyl with UV lamination. Cover all or part of your vehicle. Cover windows while retaining visibility. Vinyl letteringn can be used by itself or in addition to your wrap. It is a less expensive way to advertise your business or service. You can use it to comply with D.O.T. regulations or to grab the attention of new customers. A wide variety of color and font options. Adheres to any smooth surface - metal, plastic or glass.